Bridgewater, J.P. Morgan Asset Management and Man Investments lead the way in our tenth annual Hedge Fund 100 ranking of the world’s biggest hedge fund firms. Bridgewater’s ascent parallels the rise of institutional investor interest in hedge funds during the past decade. A decade ago Bridgewater Associates didnt really think of itself as a hedge fund firm. The Westport, ­Connecticut, enterprise  which Raymond Dalio founded in 1975 to advise corporate clients on how to manage currency and interest rate risk  began managing money in 1987 when the World Bank hired it to run a $5 million fixed-­income account. Bridgewater launched its Pure Alpha hedge fund during the early 1990s, but the strategy didnt start to take off with investors until that bullish decade came to an ignominious end. So in 2002, when the editors of ­Institutional Investor were putting together our first ranking of the worlds largest single-­manager hedge fund firms by assets under management, its understandable that we missed Bridgewater, despite the fact that it had some $2 billion in Pure Alpha managed accounts. Today it would be impossible to make that same mistake. 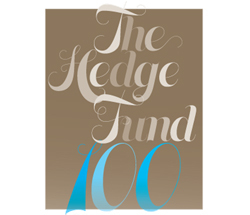 With $58.9 billion in hedge fund assets, Bridgewater is the biggest hedge fund firm in the world, leading our tenth annual Hedge Fund 100 ranking. Bridgewaters ascent parallels the rise of institutional investor interest in hedge funds during the past decade. Pension funds, foundations, endowments and sovereign wealth funds  driven by a quest for returns and the desire to diversify out of traditional stocks and bonds  have come to invest more and more of their assets in hedge funds. Many have also started to eschew funds of hedge funds, the traditional starting point for institutional investors looking to get into this alternative asset class, preferring to invest directly in a portfolio of hedge fund firms that they construct themselves. Hedge funds, which started out catering mostly to high-net-worth individuals, family offices and smaller foundations and endowments, are increasingly keen to attract this newer investor base  and their larger investment tickets. For their part many pension funds and other institutions are beginning to look at hedge fund firms along the same lines as they consider traditional asset management firms, targeting those they perceive to be institutional quality organizations. When it comes to investing directly in hedge funds, institutions seem to take comfort in managers with the size and infrastructure to mitigate reputational risk and with some ability to make tactical asset-­allocation decisions, says Girish Reddy, co-­founder and managing partner of $6 billion, New Yorkbased fund-of-hedge-funds firm Prisma Capital Partners. The importance of brand-name recognition is evident in the Hedge Fund 100, where the five largest firms  Bridgewater, J.P. Morgan Asset Management, Man Investments, Paulson & Co. and Brevan Howard Asset Management  managed a staggering $221.6 billion in combined assets when this year began. Thats nearly as much as the $260 billion in total assets that all the firms in the Hedge Fund 100 managed a decade ago in our inaugural ranking. All told this years 100 biggest firms managed a total of $1.21 trillion at the start of this year, up 12 percent from the $1.08 trillion in assets that the firms on the 2010 Hedge Fund 100 had. What remains to be seen as the hedge fund brand wars unfold is whether managers will be able to deliver the kind of consistent, noncorrelated investment returns that investors have come to expect. Size has not always been kind to hedge fund firms. Managers that have risen to the top of the Hedge Fund 100 (think Farallon ­Capital ­Management and ­Goldman Sachs Asset ­Management) have had a tendency to fall down again. Bridgewater is almost unique among hedge funds in that all of its 300 clients are institutional investors. The average size of their investment: $250 million. Under co-CIOs Dalio and ­Robert Prince, Bridgewater specializes in creating different investment return streams, identifying sources of beta, or market-­driven returns, and alpha, or skill-based returns, then packaging them into strategies that can accommodate its clients needs. The firm offered its original alpha product through bond and currency overlays, but as institutions began moving into other asset classes and looking at additional sources of returns, Bridgewater also had strategies that could be considered hedge funds. Bridgewaters strategies performed flawlessly in 2010. The firms Pure Alpha hedge fund returned 44.8 percent, while its All Weather nonhedge fund beta product was up 21.16 percent. The combination of high returns and sizable investor inflows helped Bridgewater grow its assets by more than $24 billion in 2010 and overtake J.P. Morgan for the top spot in the Hedge Fund 100. No. 2ranked J.P. Morgan saw its hedge fund assets increase by $9.1 billion last year, to $54.2 billion. The bulk of the growth came from Highbridge Capital Management, the New Yorkbased hedge fund firm co-­founded by Glenn Dubin and Henry Swieca in 1992, which J.P. Morgan purchased majority control of in 2004 (the bank has since bought the remaining stake). ­Highbridge had $6.6 billion in assets and was mostly known for convertible arbitrage at the time of J.P. Morgans original investment. Today it boasts $26 billion in assets under management and an array of investment strategies, including a new Quantitative Commodities Fund, similar to Bridgewaters Pure Alpha, which was up 31 percent for 2010. Highbridge continues to build out its hedge fund franchise. Recognizing both the need to offer investors a diversified menu of funds and the rising importance of emerging markets, the firm acquired a stake in Rio de Janeirobased macro manager Gávea Investimentos in October. In 2003 former Brazilian central banker Arminio Fraga co-­founded Gávea, which had $5.6 billion in hedge fund assets when this year began. The HighbridgeGávea deal was overshadowed by Man Investments blockbuster purchase of GLG Partners last year (Institutional Investor, March 2011). The two London-­based firms had a combined $40.6 billion in single-­manager hedge fund assets at the start of this year, securing Mans place at No. 3 on our list. The acquisition of GLG, whose stable of strategies runs from a global macro fund managed by former Goldman Sachs Group proprietary trader Driss Ben-­Brahim to a long-­only sustainable investing fund, gives Man  known for the strength of its marketing and distribution  greater depth and diversity of products to sell. The majority of assets for GLG, which was founded in 1995 by former Goldman Sachs high-net-worth advisers Noam Gottesman, Pierre Lagrange and Jonathan Green, and Man, whose origins are in the commodities trading business, has come from outside the U.S. But under the combined entity, they are determined to add more U.S. assets. John Paulson, founder of New Yorkbased Paulson & Co., No. 4, with $35.9 billion in assets, has battled accusations that his firm has grown too big, having expanded from $6.4 billion at the start of 2007 to nearly $29 billion just 12 months later  thanks to his hugely successful bet against the subprime mortgage market. Paulson argues that his firm is benefiting from its size and can, in fact, grow still larger. Meanwhile, he has put in place an extensive client service and investor relations operation, including semiannual client meetings  not only for the firm but, starting this year, for each individual strategy. Although Paulson is never likely to replicate his investment performance from 2007  his firms Credit Opportunities fund was up an astounding 589.7 percent that year  he continues to churn out solid, double-­digit returns. Last year his $8.6 billion Credit ­Opportunities Master Fund was up 19.7 percent, while his $9.8 billion Advantage Plus Master Fund returned 17.6 percent. Brevan Howard Asset Management, which is no longer the largest London-­based hedge fund manager, drops one place to No. 5 this year despite growing its assets by $5 billion, to $32 billion. Alan Howard and his team of former Credit Suisse First Boston macro fixed-­income proprietary traders founded the firm in 2002 and like Paulson did well during the financial crisis. The firms flagship Brevan Howard Master Fund was up 20.4 percent in 2008 and has an annualized return of 13 percent since inception through the end of last year. The fund, however, struggled in 2010, returning just over 1 percent, compared with the 10.3 percent return for the HFRI fund-­weighted composite index. Not every hedge fund manager aspires to become an institutional brand. Soros Fund Management, No. 6, with $27.9 billion in assets, adheres much more closely to the old-­fashioned  some would say secretive  hedge fund model. The firm, which was founded by billionaire investor George Soros more than 40 years ago, is not registered as an investment adviser with the Securities and Exchange Commission, remains very private about what it does and has made little effort to raise outside funds. Several members from the older generation of great managers, including New Yorkbased Caxton Associates (No. 43, with $10.5 billion) and Perry Capital (No. 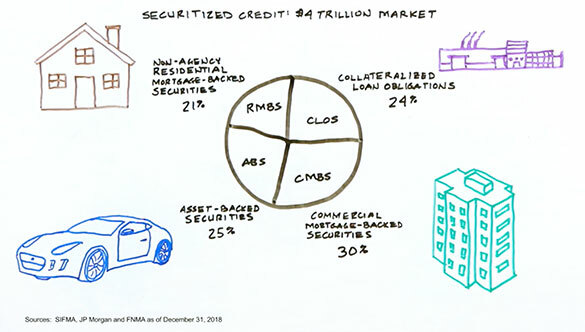 52, $8.3 billion), are courting a new, at least for them, institutional investor base  some successfully so. Millennium Management founder and CEO Israel Englander, seeing assets fall at his New Yorkbased firm from a high of about $12 billion in December 2007 to $6.9 billion in June 2010, has been making a push to attract more institutions. Unlike most hedge funds these days, which charge both management and performance fees, Millennium follows the old partnership approach by charging investors expenses plus a performance fee. At first some institutional investors, fee-­cautious public pension funds in particular, doubted the approach, fearing that it would leave them footing the bill for unknown high expenses. But Englander argues that the partnership fee model leads to a better alignment of interest between investors and managers. His argument seems to be gaining traction. By the start of 2011, Millennium was back to $9.2 billion in assets, leaping to No. 48 from No. 60 in our ranking. Millennium is attractive for institutions that had been investing in funds of funds and are looking to begin making direct allocations to hedge funds, because its multi­strategy approach provides the asset-­allocation function that multimanagers provide. Millenniums fee structure also looks less onerous to institutions that had been accustomed to paying the additional 1 percent management and 10 percent performance fees that funds of funds typically charge. But John Novogratz, Millenniums global head of marketing and investor relations, says the firm does not intend to stay open to new money indefinitely. Aware of the capacity constraints of the marketplace, Englander is not trying to rival in size the Bridgewaters or Paulsons of the hedge fund world. None of the five largest managers on the first Hedge Fund 100 a decade ago is among the top ten today. Moore Capital Management, No. 1 in 2002, with $8 billion, now is No. 23, with $15 billion. Farallon, No. 2 in 2002, with $7.8 billion, comes in this year at No. 12, with $21.5 billion in assets. Andor Capital Management, No. 3 a decade ago, with $7.5 billion, closed its doors in 2008 after suffering investment losses and shrinking to $2 billion. Andor in 2002 tied with Maverick Capital, which has since fallen to No. 37, with $11 billion in assets. Rounding out the top five that year was Citadel Investment Group, with $7.2 billion; today the firm has $11 billion in assets and ties with Maverick at No. 37. Citadels efforts to win more institutional business, particularly among U.S. public pension funds, hit a bump this spring when it was forced to close a relatively new mortgage fund after the co­portfolio manager left and U.S. public pension funds that had either committed capital or were lined up to do so halted the investment process. Cautious, sometimes to a fault, these types of investors do not like change. Having a well-­recognized hedge fund name like Citadel is not enough. Institutions also want stability. In the end, he adds, you do the best job you can of managing your alpha and the best job of your beta, and you put them together. Increasingly, institutional investors are seeing the world ­Bridgewaters way, which should mean more assets for hedge funds. The question remains which ones will get them.